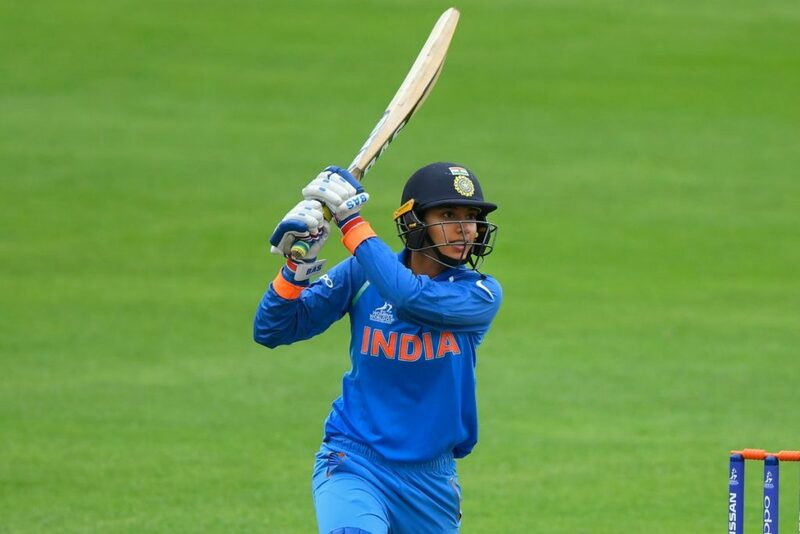 Smriti Mandhana produced yet another brilliant display with the bat by scoring an unbeaten 90 as India Women comfortably defeated New Zealand Women in the second ODI at the Bay Oval on Tuesday. The result saw India take an unassailable 2-0 lead in the three game series, thereby following in the footsteps of their mens’ side, who went 3-0 up against the Black Caps at the same venue yesterday. After being sent into bat by Mithali Raj, New Zealand started disastrously as openers Suzie Bates and Sophie Divine fell cheaply To Jhulan Goswami and Shikha Pandey respectively. The pair of Lauren Down and skipper Amy Satterthwaite steadied the innings with a stand of 25, before the former was caught by Mandhana off Ekta Bisht. Bisht picked up her second when she had Amelia Kerr leg before wicket for just 1, leaving the home side in big trouble at 38/4. Maddy Green too failed to provide support to the skipper as she fell for 9 to Poonam Yadav. Sattherwaite finally found a willing ally in Leigh Kasperek, and the duo resurrected the innings somewhat with a 58 run stand for the sixth wicket, before the former was dismissed by Yadav for a well made 71. Kasperek battled hard for her 21, but had her stumps shattered by veteran Jhulan Goswami as the home side slipped to 136/7. Wicket keeper Bernardine Bezuidenhout and No.11 Lea Tahuhu both made double figures as the Kiwis hobbled to 161. They were bowled out in the 45th over. Goswami was India’s most successful bowler as she claimed 3 wickets for 21 runs, while Bisht, Deepti Sharma and Yadav bagged 2 wickets each. Chasing a modest score of 163, India lost Jemimah Rodrigues and Sharma early and found themselves in a spot of bother at 15/2. However any hopes New Zealand might have harboured of levelling the series were dashed by Mandhana and Raj, who put together an unbeaten 151 run stand for the third wicket as the visitors chased down their target comfortably, with nearly 15 overs to spare. Veteran Raj faced 111 deliveries in her sedate knock of 63, while Mandhana needed just 83 deliveries for her 90, with the Indian vice captain hitting thirteen boundaries and a six. The 22 year old was declared the Man of the match for her superb knock. As mentioned above, India have now taken an unassailable 2-0 lead in the three-match series. The third and the final match will be played at Hamilton on February 1.